Broome is a pearling town located on the coast in the northern part of Western Australia; located between the Kimberley and the Great Sandy Desert. Despite its remoteness, Broome has increasingly become a must-see in intrepid adventurers’ bucket list. Western Australia alone covers 2.5 million square kilometres and accounts for one third of Australia’s land mass; so the distances between attractions and cities of significant size are huge. Broome itself lies 1,400 miles north of Perth, the capital of Western Australia. It is for this reason, and the convenience that campervans bring, that many visitors prefer to explore the region by Broome motorhome rental. You can book and compare RV rentals and 4WD campervan hire online, before starting your camping holiday. 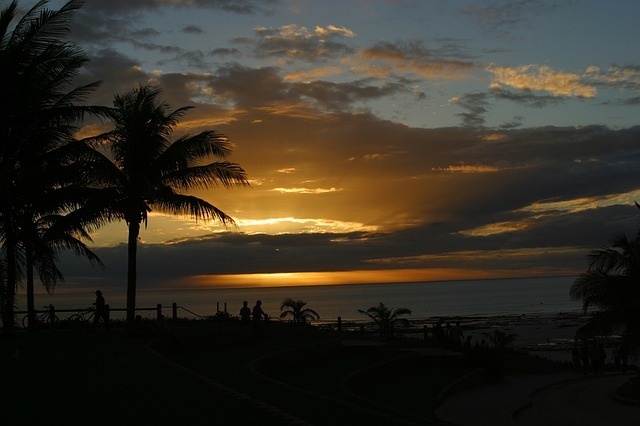 Whilst in Broome, take advantage of the beautiful white sands and sunsets, that you can see on the 14-mile long Cable Beach, for which Broome is famous. It is in Western Australia that you will truly come to appreciate the value of your 4WD campervan rental in Broome. From Broome, driving east towards Darwin or Alice Springs in your 4×4 Broome campervan hire on the Great Northern Highway will take you to Purnululu National Park, home to the UNESCO-listed beehive-shaped towers of Bungle Bungle Range estimated to be 350 million years old. Purnululu is about 400 miles away by RV rental in Broome. Continuing north on the highway with your Broome motorhome hire and come to the relatively young outback town of Kununurra, a local name referring to a lake of the same name considered to be the largest manmade lake in the southern hemisphere. The lake is large enough to be known as an inland sea and unsurprisingly, is a mecca for cruising, canoeing, fishing and all other types of water sports. Whilst in Kununurra visit Mirima National Park; also known as the Hidden Valley National Park, with its 600-million-year old Zebra Rock. In this park, Kelly’s Knob Lookout is known as the ideal place to witness sunsets; and Black Rock Falls is a popular swimming hole. If you are willing to drive your Broome motorhome rental for 850 miles, travelling south on the Great Northern Highway, then turning your RV rentals or campervan hire onto the North West Coastal highway, you will be rewarded with the experience of Australia’s largest fringing reef and coral gardens. At Exmouth, you can swim in the clearest turquoise waters on the planet, whilst finding yourself floating over the World Heritage-listed Ningaloo Reef. 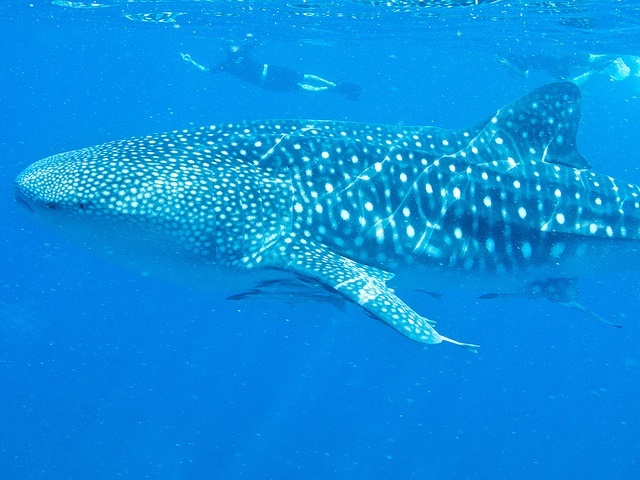 Here, you can swim with the whale sharks and spot dolphins, manta rays, humpback whales and turtles with predictable regularity. Snorkellers keep up with a whale shark as it swims by. Ningaloo Reef, Western Australia. 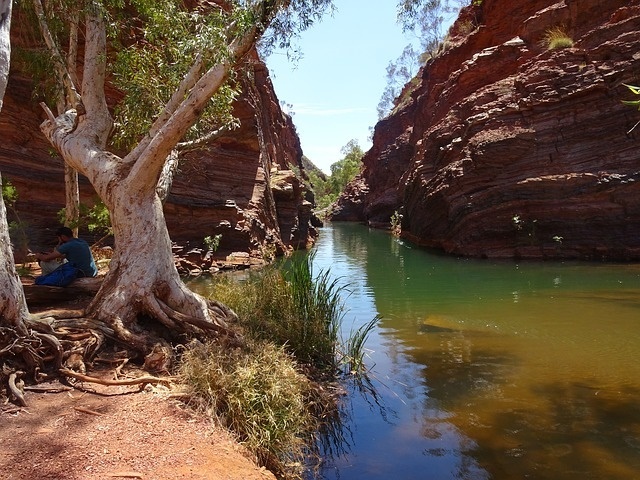 On the way to Ningaloo, about 11 hours inland by motorhome hire from Broome is Karijini National Park; which is inhabited by some of the planet’s oldest rocks. At an age of four billion years, some of the rocks are as old as the planet. These rocks form cavernous gorges and Mount Bruce, Australia’s second highest peak. Karijini Park is renowned for having some of the best scenery accessible by road. For the more adventurous traveller in a 4WD camper hire vacation; take a guided tour of the Weano Gorge, where you can jump down waterfalls and climb back up from the depths; this will give any adventurer a feeling of travelling to the centre of the earth. From Karijini, it is possible to join back up with the Great Northern Highway, before returning your RV rental in Broome, or head south to Perth via the Pinnacles.